Our culture here in Manly is all about eating healthy and knowing that the products we are eating are good for us. The health and environmentally conscious diner will simply love enjoying a snack or drink at this organic and wholefood café in Manly. Each carefully prepared dish promises to not only taste amazing, but to benefit your health as well. Creating real food that nourishes and heals. Come and visit for a tasty meal, a delicious treat or a flavour-filled drink. Open daily; kitchen 7am to 3pm, coffee and treats 7am to 4pm. Ruby Lane is setting a new standard for healthy eating with delicious meals using only the very best organic ingredients. The boutique eatery on Pittwater Rd, boasts a menu that loves your body as well as your taste buds. Breakfast, lunch and now opening for dinner on the weekends. Ruby Lane is all about ethically sourcing great food and making everything from scratch. Most dishes are gluten free; there are dairy free and vegan options and all sweets are gluten, dairy and refined sugar free. The meat is organic and biodynamic. Ruby Lane is BYO but also offers an organic wine and cocktail list showcasing Australian wines from all regions. Come in and tempt your palette. The Cabbage Tree Bay café and restaurant is hard to miss when walking to and from Shelly Beach and Manly. The Bower Restaurant’s coffee is deliciously sweet with herbal aromas and dark chocolate flavours, with no hint of bitterness. They use Australian roasted coffee from Five Senses, with a range of delicious types of coffee available to try. Inspired by Italy, North Steyne Emporio is a must visit for anyone wanting a great cup of coffee and artisan treats. 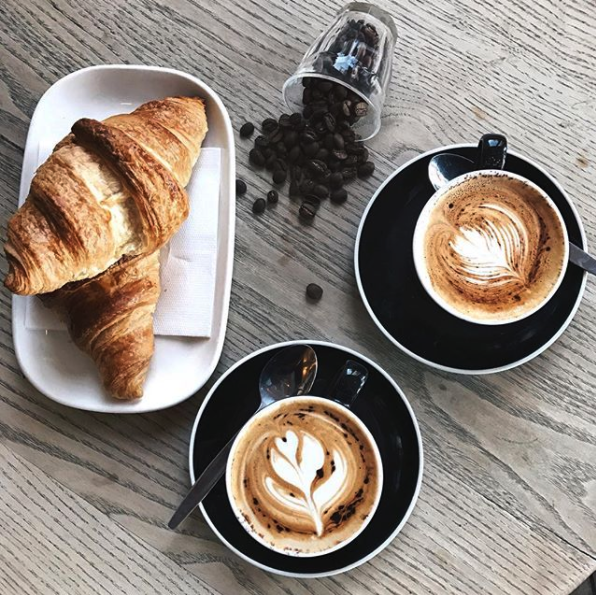 Using Vittoria Coffee beans, this café is popular among the locals for its iconic lattes and cappuccinos. Emporio also has affordable breakfast and lunch options available for dine in or takeaway. Fresh, tasty, nourishing food and delicious treats that provide good value for money, is what SaladBowl, in Manly is all about. Environmentally and socially responsible, the SaladBowl strives to conduct business in a way that has a positive impact on the environment while improving the lives of its customers. They want to prove that freshly prepared, wholesome food can be affordable to anyone. Open for breakfast and lunch and available to cater for functions. Breakfast and lunch done right, overlooking the impressive Shelly Beach. The Boathouse Shelly Beach is well known for its huge menu of healthy dishes, nautical style and quality coffees. Bringing the flavours of Europe to Manly beachside, Hemingway’s is a popular hangout for locals and travellers alike. The art-deco café with book-lined walls and ocean views has a delicious breakfast and lunch menu incorporating Australian and French cuisine. The award-winning barista’s use Gabriel coffee’s Monte Carlo blend, light yet complex, with hints of tropical citrus and chocolate notes. The iconic Lumberjack Trading Co in the heart of Rialto Square specialises in Canadian-inspired breakfasts, lunches and dinners. Get your fill of North American and Australian cuisine fusions with their waffles for breakfast, burgers for lunch, and range of ribs and wings for dinner.